Yesterday I shared some exciting news (link) and today I share my minialbum for documenting December this year. 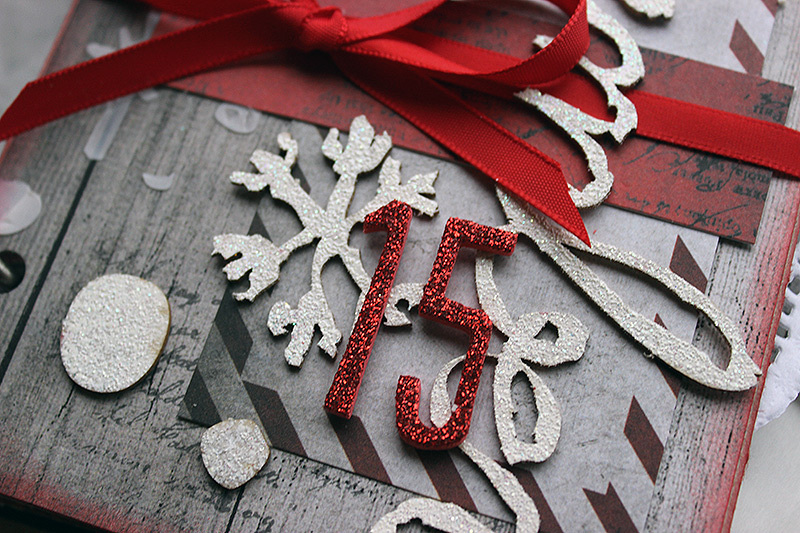 I tend to do a December mini each year, but this is special because of the kit and moreover what the kit has. Not sure what kit I'm referring to? Please see yesterday's post (link)! 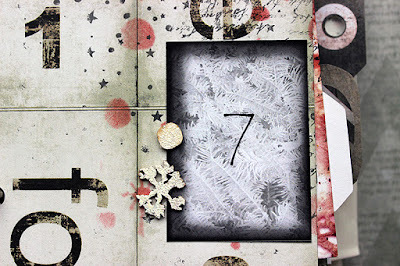 Like I typed yesterday, the December Memories kit is designed by Tusia and me and there’s some specialties that aren’t available otherwise – the number tags, the stencil and the chipboards, which are designed by me. I’m so honored and grateful that Tusia made them turn into reality! 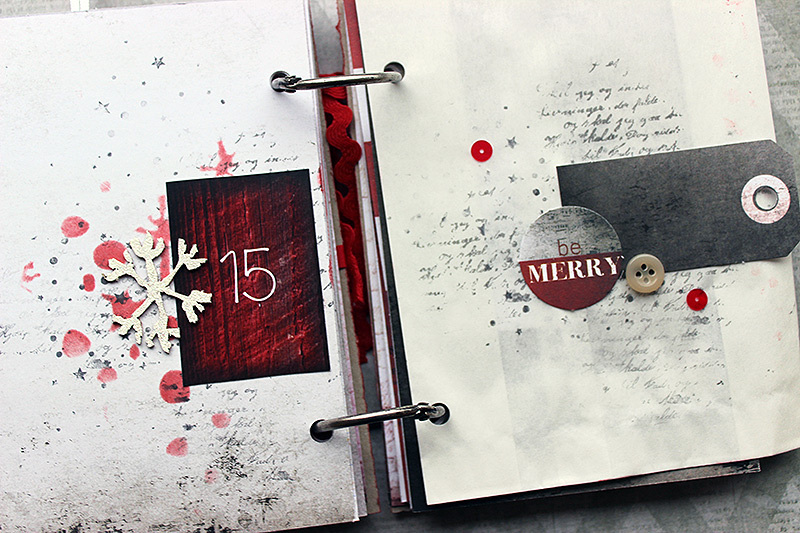 I started the minialbum by cutting the inner pages out of the 12x12 sheets in the kit. I left the wood grain patterned paper for the covers and used three whole sheets and halves of two other for the inner pages. 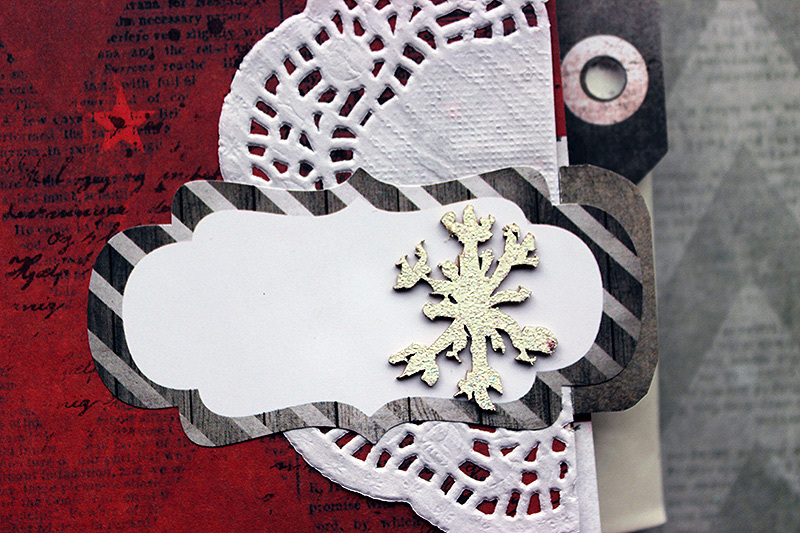 Next I added stenciled pattern and some stamping to the inner pages. Then I embellished the spreads using the number tags in the kit, some pieces of patterned papers, tags and die cuts and stickers. 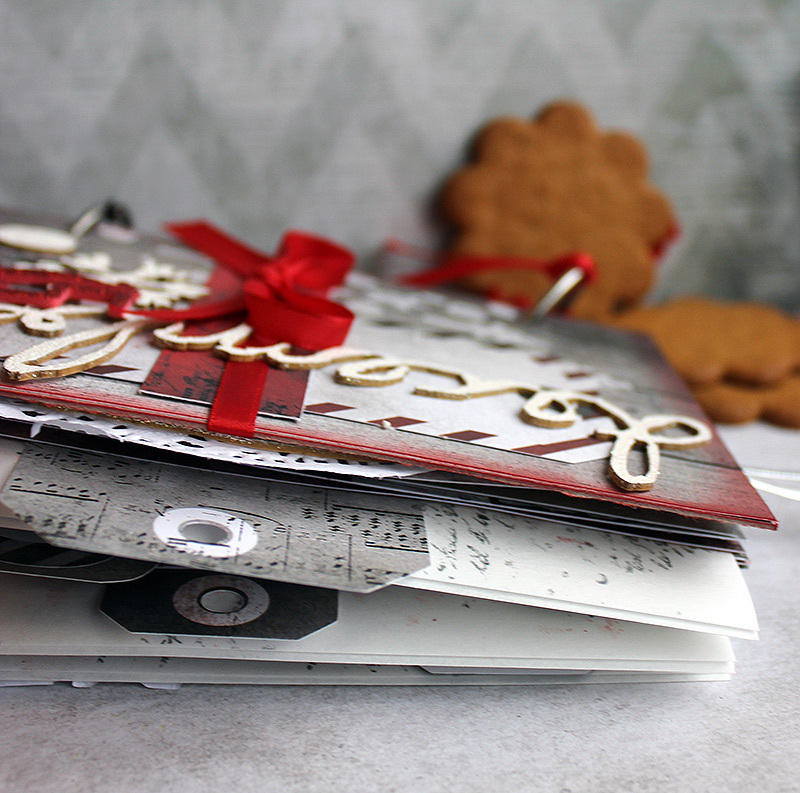 The kit has some paper bags which I love to use in mini albums. Usually I have way too many photos to include to the album and vacation or holiday albums like this one tend also to have ephemera I like to include in there. Just by adding a few paper bags into the mix I get a lot of room to store the extra photos and the ephemera without getting the pages too cluttered! 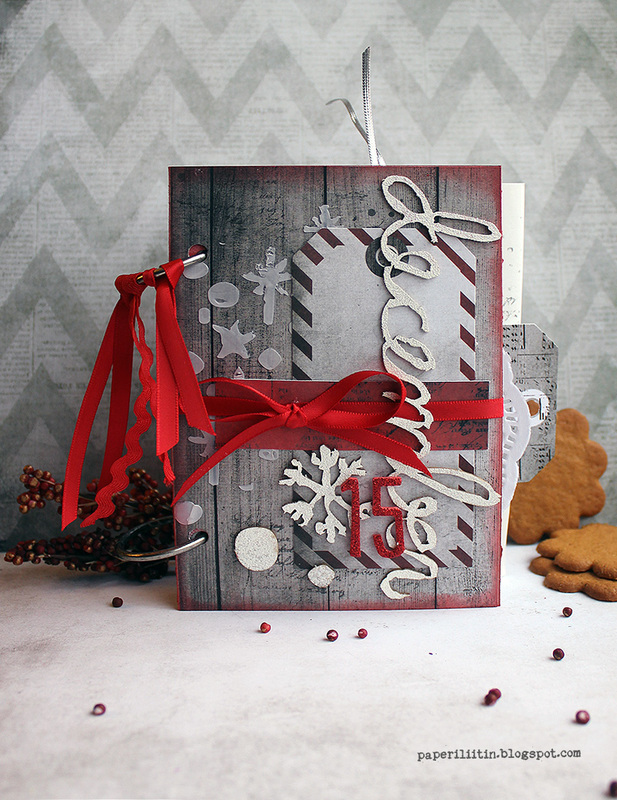 You can even put a few received Christmas cards in there or piece of a wrapping paper used that year – only your imagination is the limit there! I used limited amount of different mediums in the album. I used red and grey ink, modelling paste and white embossing powder with some sparkle in it. When putting the album together during Christmas time I might also add some white splashes along the way. If you want to take a look inside the album at this point, please see the video below! It also shows how I created the cover for the album. I can’t wait the December to start so I can start using this album! Thank you for stopping by today!